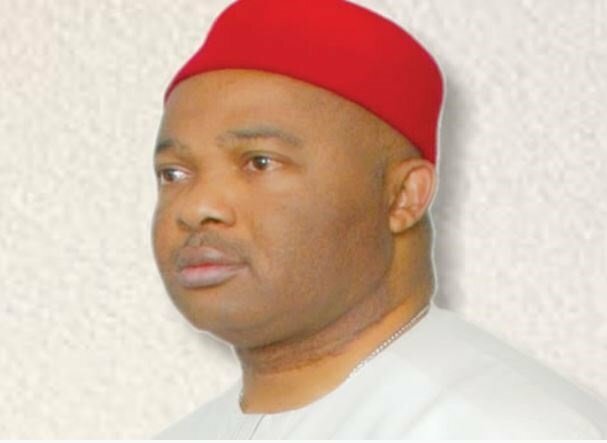 The ongoing probe of the governorship candidate of the All Progressives Congress in Imo State, Hope Uzodinma, by the Special Presidential Investigation Panel for Recovery of Public Property began in August 2017 by the Office of Vice-President Yemi Osinbajo, who was then Acting President. The SPIPRPP was said to have on November 12, 2018 briefly arrested Uzodinma, over the allegation that his company failed to execute a contract of $12m for the dredging of the Calabar channel after the firm had been allegedly paid. The chairman of the panel, Okoi Obon-Obla, said the serving senator representing Imo West was released shortly after his arrest at the Nnamdi Azikiwe International Airport, Abuja. Obono-Obla said the senator promised to return for interrogation the following day but failed to do so. It was learnt that the panel’s probe into the contract fraud allegation was originally uncovered by a whistle-blower who reported the case to then Acting President’s office. According to reports, the office subsequently directed the Obono-Obla panel to act on the information via a memo dated August 18, 2017 “for further investigation”. Uzodinma, who in April 2018, defected to the APC, was as of the time his case, referred to the SPIPRPP as a member of the Peoples Democratic Party. The terse memo by the VP’s office with reference number SH/OVP/DOCS/Misc./00146 was signed by Osinbajo’s Chief of Staff, Ade Ipaye. Other allegations contained in the document obtained from a presidential source on Sunday, included an alleged conflict of interest. According to the letter, Uzodinma and his company, Niger Global Engineering and Technical Company Limited, are involved in “multiple contracts on the dredging of the Calabar channel”. Accompanying the charges filed before the Federal High Court in Abuja were an interim investigative report of the panel dated April 11, 2018.